Why you may not see Funke Akindele in new Avengers movie! Days ago, the Nigerian movie-going community went agog after it was revealed that Funke Akindele has been cast in the upcoming Avengers: Infinity War movie. Some sang, some danced, and some have gone to church to give testimonies. No statement from Marvel, or from the actress herself. No set pictures posted on Instagram or any hashtags of excitement for that matter. Remember when Gal Gadot was cast as Wonder Woman in Man of Steel sequel, we get to find out years before the movie finally came out. Till now, the only hint we have as to whether our Jenifa starred in the movie or not is the movie info site IMDb where she was listed as one of the cast members. IMDb has not been known to be one of the most authentic sites ever. Shockingly, as at the time of writing this, Funke Akindele's name has suddenly disappeared from the movie's cast list on the site. Even if Funke did actually act in Infinity War, it is still not a certainty she is going to be seen in the movie. This is because, unlike in Nollywood movies where Ini Edo will be shown in a scene dated 1960 holding an iPhone 8, editing is a serious component of Hollywood productions. Movie scripts are planned, but there are all kinds of things that directors shoot that aren't really written in the script or are merely implied in the script, or become opportunities that present themselves during filming on the set. However, the studios have all these formulas and research data that tells them how long a movie should be in order to get the best response at the Box Office. In addition, they test the bigger films in focus groups to determine the validity of some scenes. During editing, some scenes are found to be simply unnecessary, or disrupts the flow of a film and subsequently get cut from the movie. Minor roles, such as the one our Funke Akindele has been rumored to play, are mostly affected. 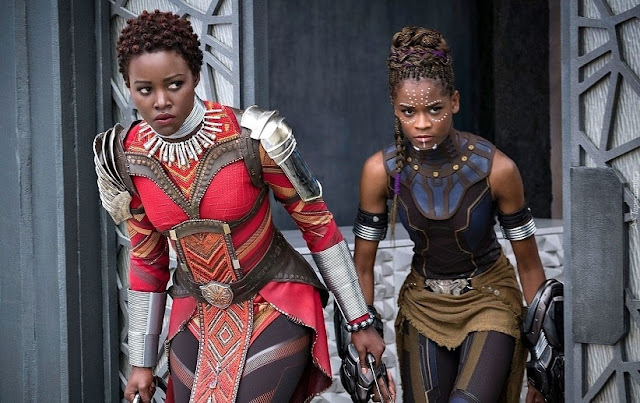 So there it is, if you really want to see Funke in Infinity War, it might be time now to do what most Nigerians are best at -- dip their rosaries in Holy water and pray!